From Navy SEAL to College Football: Why Not? Damian Jackson, a 6-foot-1, 245-pound, 27-year-old freshman, has always had a “why not” attitude. Play baseball? Why not. Travel overseas? Why not. Join the military? Why not. Volunteer for the Navy SEALs? Why not. “I volunteered in boot camp so it wasn’t something I had my eye set on for my whole life,” Jackson said. Jackson joined the Navy in 2010 after graduating from Shadow Ridge High School in Las Vegas, Nevada. When boot camp began, and he was given the chance to join the SEALs, Jackson went for it. His first stop was BUDS, or Basic Underwater Demolition School, and then on through a training program that took him just under two years to complete. When he graduated training, Jackson joined SEAL Team 1. Jackson spent four years as a SEAL before getting out in November of 2016. For the first time in years, there was no schedule, no place he needed to be and nothing he needed to be doing. So, he remembered a trip he’d taken to Lincoln in 2015, packed his bags and set off for Nebraska. Football? Why not. Before Jackson left the military, he had begun to kick around the idea of playing college football. 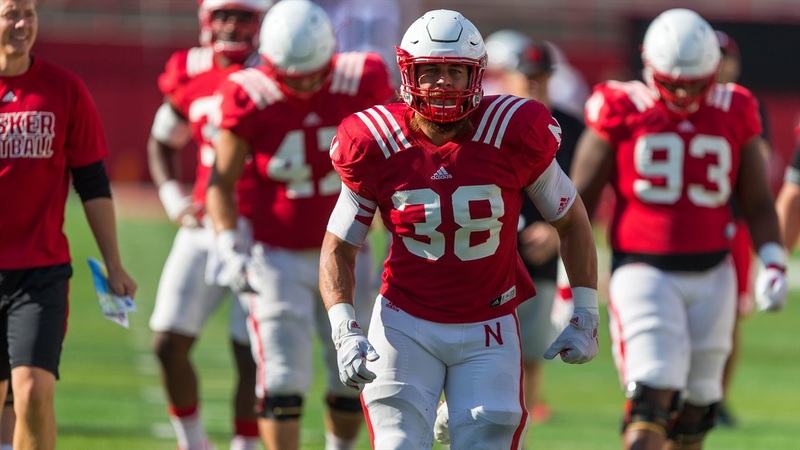 His mom’s old boss, Gary Toogood – yep, that Gary Toogood – had played for the Huskers back in the 1960s and started talking up Nebraska. Toogood took him to a 2015 home game between the Huskers and Michigan State – yep, that game – and introduced Jackson to head coach Mike Riley. “I can remember meeting Damian Jackson a few years back when he came and him stating that one day he wanted to go to college and be a football player and then lo and behold he shows up on our doorstep,” Riley recalled. Jackson had never played football before, and didn’t really know how to get into the sport, but he knew he’d talked to Riley, so Nebraska it was. He arrived in Lincoln in late December and waited for the walk-on tryouts on Feb. 25. Jackson crushed the physical tests and when he was done, Parrella walked him out. He knew Jackson was a vet, so they started to talk about the military (Parrella’s father also served). “Next thing I know, I was like ‘you’re a flippin’ Navy SEAL?’” Parrella joked. From there, the relationship grew. Jackson said the first two weeks he was hit with a lot. The physical hits didn’t bother him, but the constant waves of new information were flustering. Jackson had to learn gap assignments, he had to learn how and where to line up properly, he had to learn how to tackle, he had to catch up to the guys around him that had been playing organized football for years. But while they were teaching him the technical stuff, he was teaching intangibles. Riley has seen that work ethic too. Jackson hasn’t been outspoken though. He’s still looking for his place on the team right now and trying to get more comfortable with the game. As he continues to grow, a leadership role is natural, but he’s not rushing it. Damian Jackson (38) carries the American flag onto the field ahead of Nebraska's game against Ohio State. 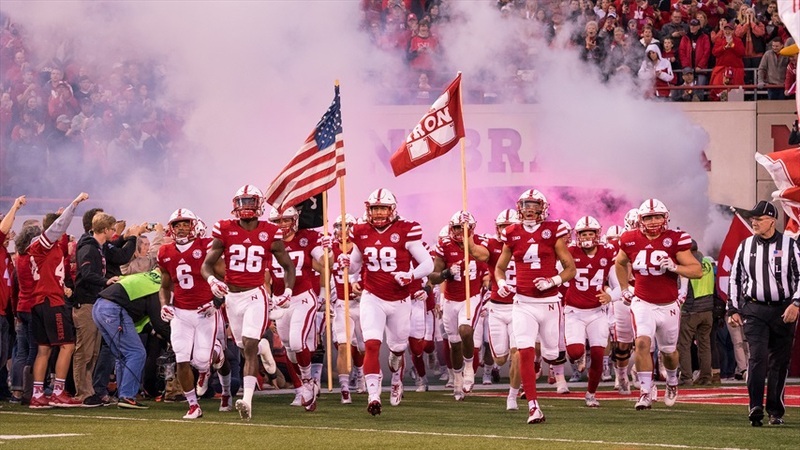 Every year, a Nebraska senior carries the American flag out onto the field when the Huskers leave the tunnel. This year, Jackson carries it. His teammates wanted it to be him. He’s one of the first men out of the tunnel and he gets to carry something he fought to defend, “an extreme honor,” he says. Jackson still has three years of eligibility left, too. He’s working towards a computer science degree at Nebraska, a way to send him out to Silicon Valley to work for Google or another tech company coding. For now, he’s enjoying “one of the better experiences” of his life and learning how to play football.